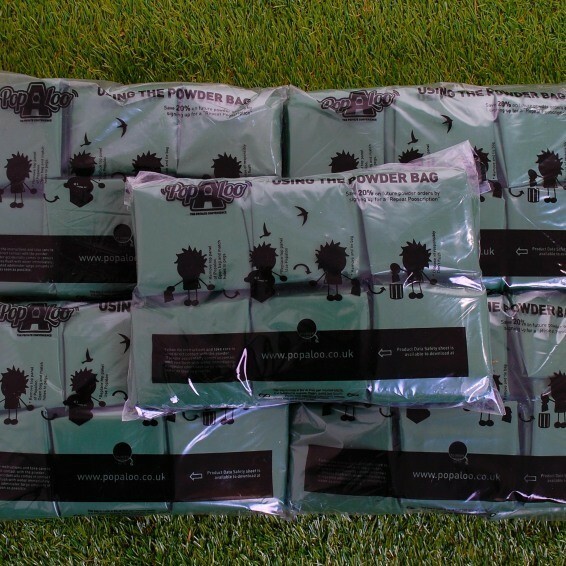 50 individual Bio-degradable powder bags. Individual Bio degradable powder bags that contain a blend of minerals that gel both fluid & solid waste, each bag can gel approximately 1.5 to 2 Litres of fluid. After use bags can be placed in a normal waste bin,composted or buried.